For lack of a better term in English, the French word terroir best describes the geology, geography and climate that make a specific site unique. The people that farm the land and the story of the land itself contribute to the sense of place. We sought out each one of these places mainly two simple reasons. First, we feel that these vineyards express the perfect terroir for each varietal we produce. Second, we feel that the people who manage and farm these places are the best in the business at what they do and our friendships with them. Historical records show that a portion of this vineyard was planted in 1895 by Mrs. Thomas Rutherford. This 300-acre parcel first purchased by Beaulieu founder Georges de Latour in 1928 and called Beaulieu Vineyard Number 3, was the home to BV’s Rutherford Cabernets made by the renowned winemaker Andre Tchelistcheff. These wines achieved wide acclaim in the 1960’s and 70’s, establishing BV’s pre-eminence in the making of fine Napa Valley Cabernet Sauvignon. 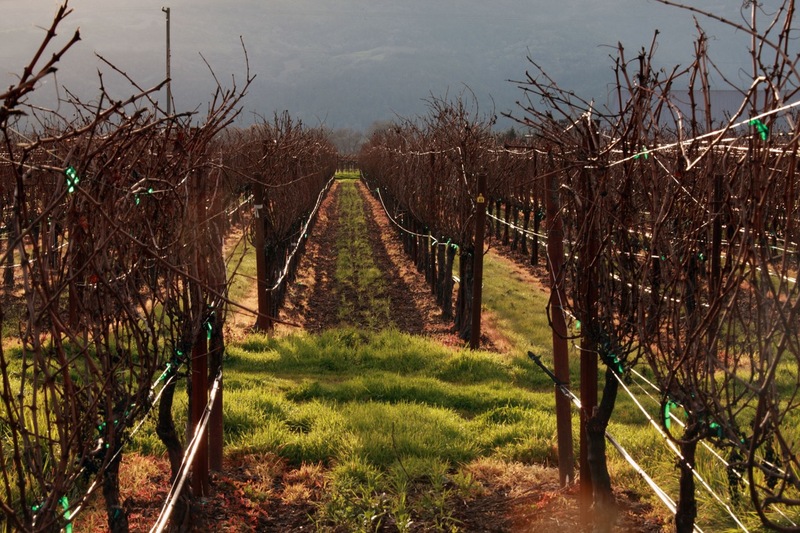 Purchased by Beckstoffer Vineyards in 1988, the vineyard has since been replanted using new Cabernet Sauvignon clones with tighter spacing and advanced trellising systems, enhancing both quality and grape tonnage. In 2009 181 acres were placed under a land conservation esement that forever prohibits non-agricultural development. Vineyard Georges III is today home to the main offices of Beckstoffer Vineyards. After our 12-year (’04-’15) partnership at Stagecoach Vineyard came to a close, we set out with a simple mission: find the best Cabernet Sauvignon grapes in Napa Valley. Our research took us to Beckstoffer Vineyards. That said, you can’t just go knock on Andy or Dave Becksoffer’s door and request grapes. We had multiple very well respected and accomplished winemakers who are currently clients reach out to vouch for us. These personal referrals, along with our own portfolio wines, got us in the door. After a few “interviews”, we were set for our first vintage, 2016 – And it didn’t disappoint with a 96+ point review from Robert Parker’s Wine Advocate along with a 96 per Jeb Dunnick. We have our own block, B2b, which is dedicated to Clone 7 on 110R rootstock. Row directions were replanted to more east-west for favorable and evening ripening in late afternoon summer afternoons. Due to our Vineyard Designate Acreage Contract, we are able to control all farming practices such as green thinning, canopy control, clusters per shoot/spur, irrigation, and ultimately yield control. We found the best Cabernet Sauvignon grapes in the Valley, next is making the best damn Cab in the Valley! We are honored to partner with the Pisoni and Franscioni families. 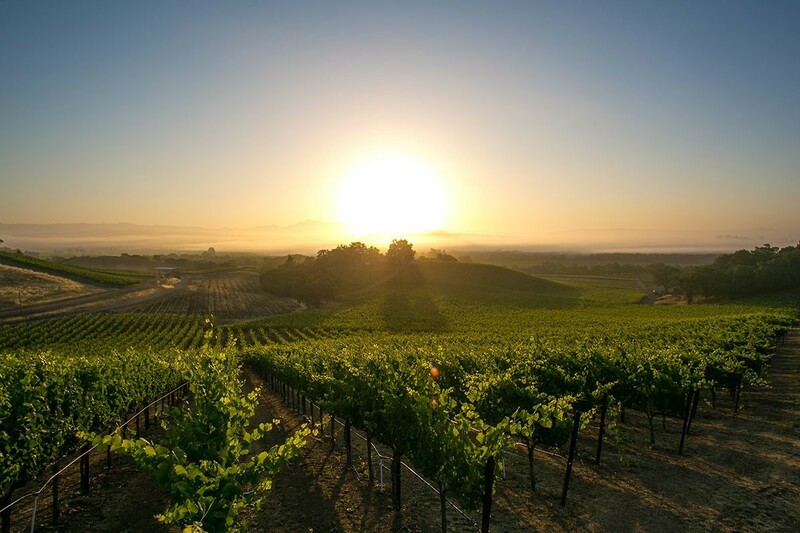 Located in the heart of the Santa Lucia Highlands along the foothills of the Santa Lucia Mountain Range in Monterey County, the vineyard is composed mostly of Granite. The cold water of the Pacific brings fog and cool breezes in the evening allowing for a slow ripening of the Pinot Noir grapes. The cool weather of Monterey County contributes to a nice balanced structure of acidity and ripeness. We first met the Pisoni family in 2002, prior to establishing Krutz Family Cellars. Patrick always knew that when it was time to start making world-class Chardonnay and Pinot Noir to look no further than the Pisoni and Francioni’s. What started as a handshake in 2010 for our first vintage of Soberanes Pinot Noir continues today as we all share the same core values of quality over quantity and family over corporate. Pinot Noir is often referred to as the Holy Grail of wines and one of the most challenging grapes to grow. A perfect fit for the cold pockets of California's coastline, the variety produces beautiful wines in the Santa Lucia Highlands. The Salinas Valley fog and wind allow for slow ripening—a requirement for producing intense, yet elegant Pinot Noir. In 2004 Krutz Family Cellars was looking to find a mountain vineyard that was able to balance the many complex layers of Cabernet Sauvignon. Through a friendship with the late Josh Krupp, Krutz Family Cellars brought in one ton of grapes from Stagecoach Vineyard to make its first Cabernet Sauvignon. Although the owners of Stagecoach Vineyard sold us the grapes, they demanded to taste the wine for quality before allowing the use of their vineyard on the label. We passed the test. In the years since our Stagecoach Vineyard Cabs have received many 93 to 97 point ratings, made a couple of top 100 lists, landed on the cover of Wine Enthusiast, and even won us a belt buckle from the Houston Rodeo. It has been a great run making wine from this vineyard, but all things must pass and the 2015 vintage will bookend the 2004 vintage. Stagecoach rests on the southern face of Pritchard Hill adjoining Eastern Oakville from an elevation of 900' climbing to over 1700'. More than 500,000 vines are planted on Stagecoach's 1200 acres, among rock and chaparral. Chappellet, Bryant Family, Colgin, David Arthur, and Cloudview are some of the estates that grace the same appellation. Supporting a myriad of different exposures, terroir, and over a dozen and a half varietals, Stagecoach is one of the most intriguing sites in the Napa Valley. 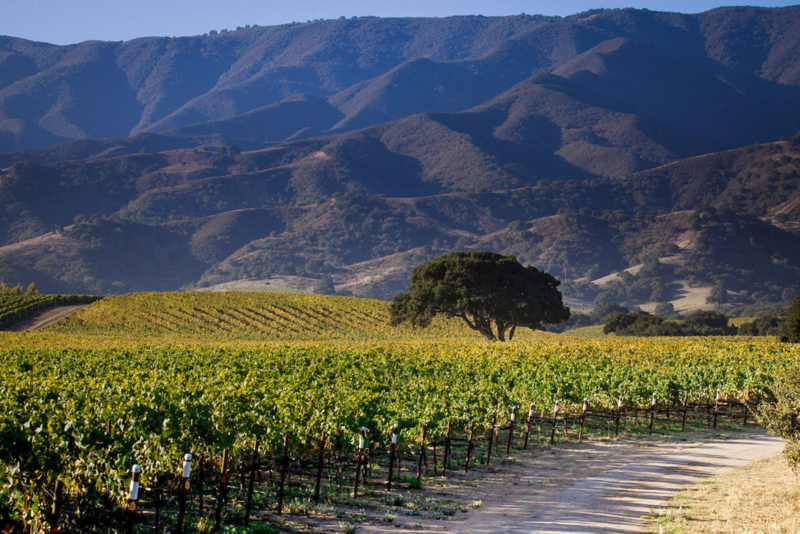 Not only does it boast a collection of the best selections and clones of cabernet sauvignon in California, but its south and west face facing slopes contain some of the best syrah and malbec in the valley. One of the factors that make Stagecoach Vineyard unique is the cool fog that rolls off the hills each summer morning around 7:00 a.m. Sun shines on the vines for a large amount of hours each day, even though the average temperature during ripening is a full 1-2 degree Celsius below the Oakville mean. This combination of cool nights and lengthy warm days promotes great complexity due to optimal hang time. Another major factor is the well-drained soils that make up almost the entire base of the vines. Several large rocks dot the landscape and smaller gravel to tiny pebbles break up the few feet of soil that a vine’s roots find purchase in, until being forced to make their way through broken volcanic rock. After working with the Talbott Family’s Sleep Hollow Vineyard from 2004 to 2008, it was time to move to another Chardonnay vineyard due to replanting. We knew the fruit profile that we were looking for – a zesty lemon acidity backed by slight rocky minerality – and knew that the cold climate and loamy soils of the Russian River Valley could provide it. And, if you are looking for Chardonnay in Russian River Valley, the Martinelli Family is certainly one of the best. We settled on Martinelli Road vineyard, which is located in Green Valley, the coolest area of the Russian River Valley. Martinelli Road is located in the southwestern sub AVA of Green Valley in the Russian River AVA. Due to its placement in the southwest of the Russian River AVA, Green Valley sees the first and last of the fog from the Petaluma Gap. This causes the region to be the coolest and foggiest portion of the Russian River and perfect for Chardonnay. Like the rest of the Russian River, the soil here is predominantly Goldridge loam which provides excellent drainage and a chemical balance. The other common soil in the Green Valley is Franciscan soil which has higher magnesium content that suits the cool climate of the AVA exceptionally well. The clone of Chardonnay found in Martinelli Road Vineyard is Wente.